Food Noir! It’s a burgeoning genre, stay tuned. 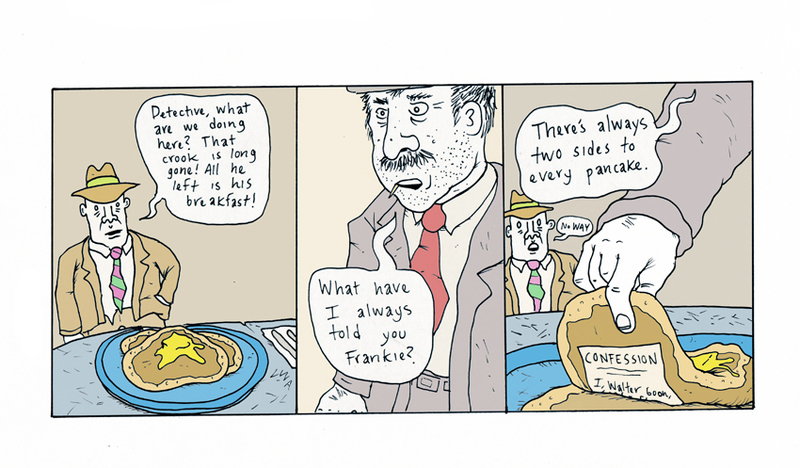 Thanks to my friend Madison Stewart for giving me the last panel in this strip. Watch Madison HERE in his (incredibly well-done) music video!